Branding is an activity that refers to creating/shaping a unique identity of a company/product. It can be in the form of products or services a company offers, highlighting different features/quality of the products or via generating a preference for the products in consumer’s minds. 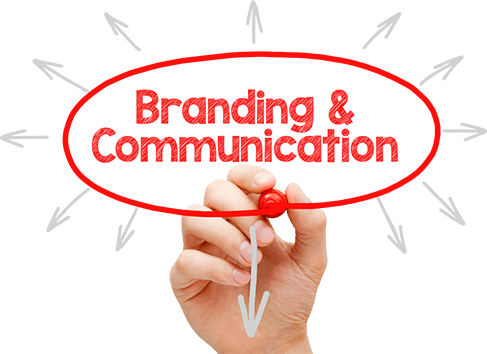 Providing expertise in Brand Management and Marketing Communication in Delhi, showcase different products/services/features in ways that personify a brand and communicate with the consumer. We at DigitalOye work with you, listen to you and accordingly work to create a lasting impression of the brand in the mind of the consumers. We bring along years of experience at managing brand marketing and communication activities for different companies. Our services include – Helping you define your brand in a strong way that is in sync with the company values and also appeals to the consumers, creating a unique identity for your brand, developing different messages to communicate different features and promoting them across channels to your target set. Being of relevance yet constantly evolving is the key, and at DigitalOye we have dedicated resources to make it work for you. Marketing Communication is an important tool now a days and the digital communication isn't as simple as it used to be. In today's competitive scenario the importance relies with the clear message positioning which will differentiate you from the noise. A good strategy will help you to create the neccessary hype and communicate on behalf of the company.